As of today, 6th of June 2017, Valve has decided to immediately shut down the Steam Greenlight platform. This means that Airport CEO will and can not initiate a Greenlight Campaign and that all plans related to this are cancelled. As you might have understood, we have been very quiet on the progress of our own Steam Greenlight campaign and this is because shortly after we hinted about launching it, a small bird whispered to us that the platform was about to get cancelled very soon and therefore we decided to hold off for a while to verify these claims and in the meantime continue to put effort into the code base. Sure enough, the plug was pulled today and we believe that we made the right decision here. We’d rather be part of something new and fresh which has the support of the company that operates it rather than being dependent and gambling on an old platform that is on its way out. The time that we didn’t invest in making a 100 percent solid campaign effort instead went into everyday development which overall has served to advance the project. This is probably the first correct estimation we’ve made throughout this project (lol) so that calls for a bit of celebration. But hold up! We can’t celebrate when we don’t have a platform to release Airport CEO through. Thankfully, Valve has us covered and we’ll get into this a few paragraphs below. Before we leave Steam Greenlight, or more specifically our Steam Greenlight concept page, behinds us we’d just like to go over some of the statistics that we’ve managed to collect over the year with your help. 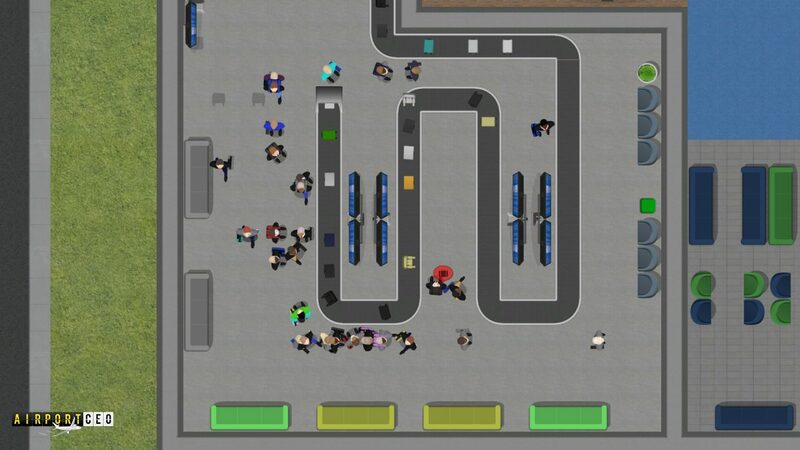 Today, Airport CEO is ranked on the 25th place out of plus 3700 titles. We’ve had 7877 unique visitors where 2604 persons approved of the concept and 22 persons did not approve. That gives Airport CEO an approval rating of 99 percent which we of course couldn’t be happier with. We are completely convinced that you, the community, would of helped us the through that Greenlight campaign without a hassle and to be honest its almost kind of sad that we won’t get to experience that anticipation of having people vote on the presented product. Nonetheless, the most important thing is not exactly how the game is release but that it actually is. We’ll talk more about this soon. We think that the word realism is a pretty good word for summing up what we’ve been up to this week but… where to start? Well, Fredrik has spent time on improving the game’s automatic ATC, i.e. the system that directs and controls where aircraft land, taxi and park. 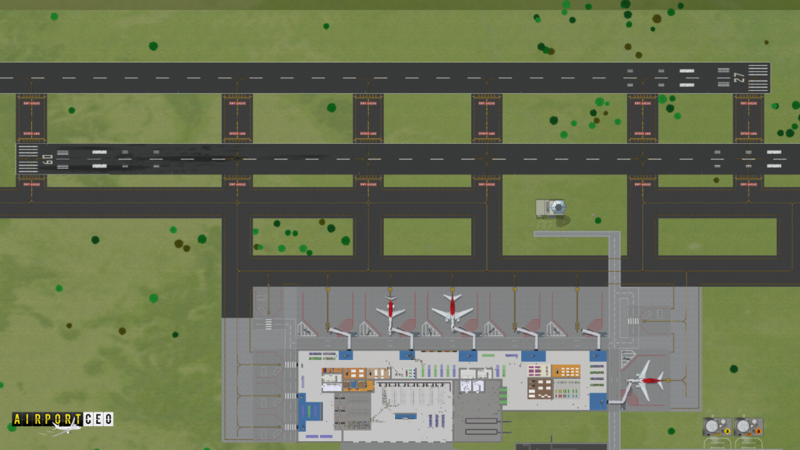 This week he has implemented and started testing the multi-runway feature meaning that aircraft now can land on multiple runways. This adds a lot of extra complexity on top of the ATC simulation but has overall proved to work quite well. 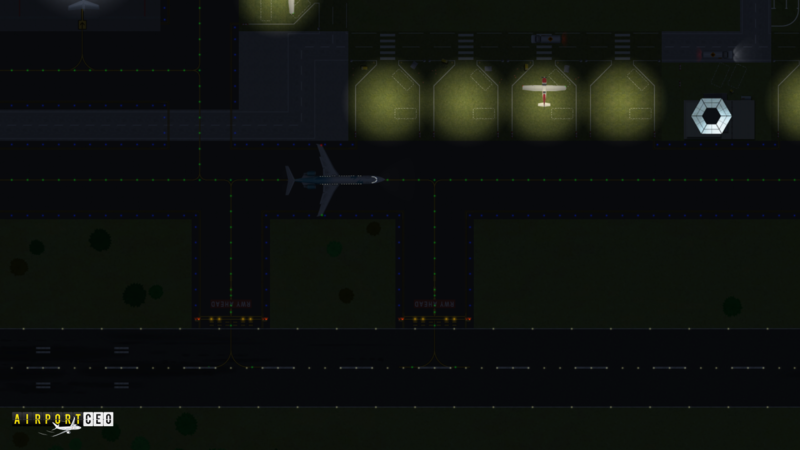 Runways can now be assigned to have a certain function meaning that they can serve to only handle arrivals, departures or both. Runway crossings is now also simulated and aircraft taxiing through a certain runway will hold if that runway is in use. 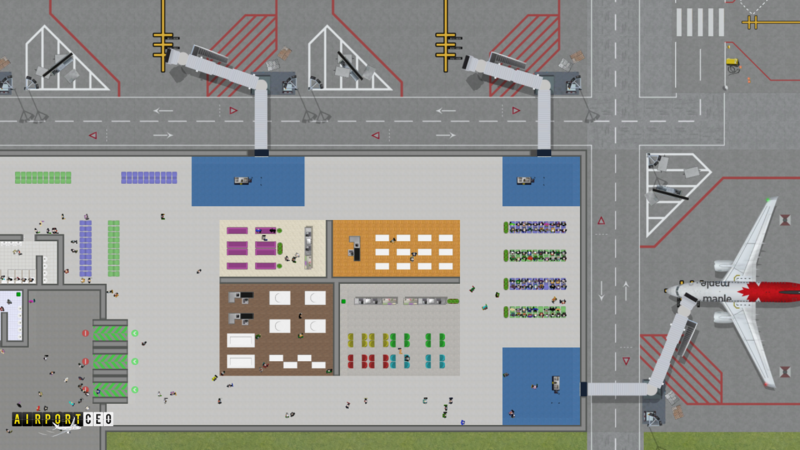 We have also implemented a system for plotting aircraft paths based on the taxiways congestion meaning that aircraft will be directed to use lesser congested paths if possible. Another thing we’ve experimented with is the turnaround procedures and have optimized several aspects of this both in terms of code but also realism. 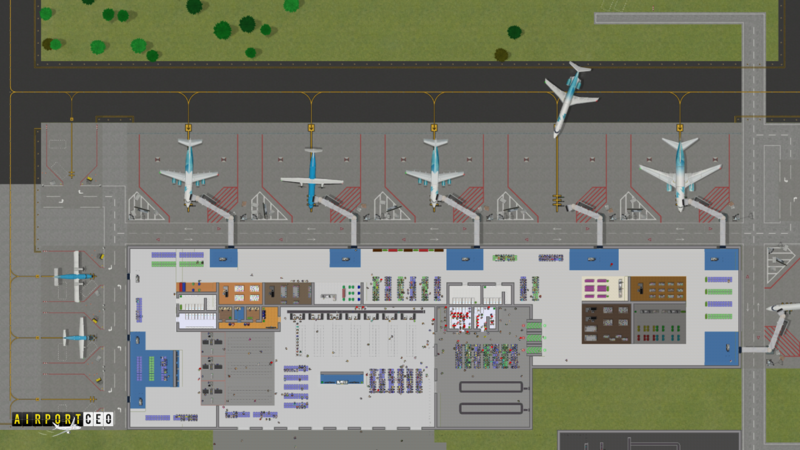 For example, as of now vehicles that will serve an aircraft (depending on the services the aircraft needs) are now dispatched a lot earlier than before and will meet the aircraft at the stand, which is a better reflection of how it works in real life (depending on the performance of your airport of course). These kinds of improvements are a good example on how we work with iterative design, ever so slightly improving specific system and over time evolving them to become better, more efficient and handle more complexity. Another good example of this is the game’s delivery system. Olof has spent a lot of time completely overhauling it and preparing it for a lot more functionality further down. Previously, for example, we did simulate construction material but through “dead objects” that were not tied to a certain object. This is no longer the case and each construction material parts has a purpose of being constructed in accordance with a certain object. The system that supports this is also now readily prepared for handling deliveries to franchises further down the road meaning that we can simulate available stock in shops and bars. The aviation fuel suppliers also use this system and over time we will expand and consolidate it so that it handles all deliveries to the airport. Delivery trucks will have a UI panel showing what content they are hauling, to what organization, how much and to where and products and assets will also be clickable, revealing their purpose in the world. In excess of this we have of course done a lot of testing as usual. Several parts of the construction simulation have in relation the new delivery system been improved and marked as “OK to ship”. Bugs have been squashed, realizations have been made and improvements implemented. 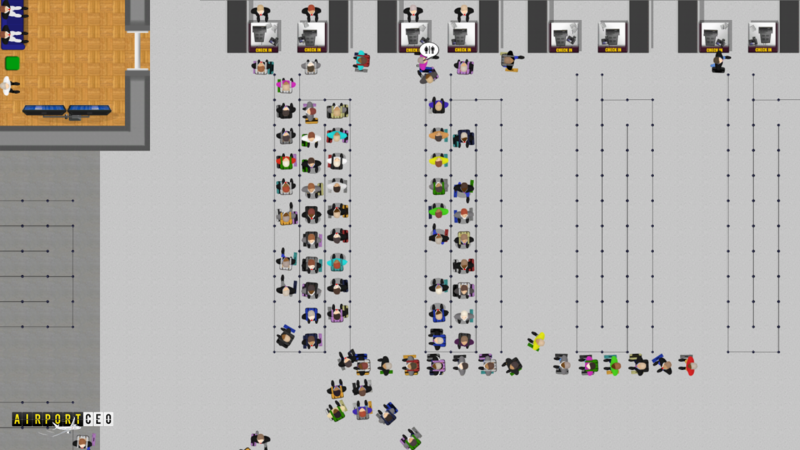 We have also worked a lot with saving and loading which includes implementing code for creating save games on your computer and building UI windows so that you easily in-game can save and load games. We’ve also implemented an auto save feature… that might definitely come in handy. That’s just a small part of what we’ve done over the week. More details can be found in the changelog below! Since we can’t launch via Steam Greenlight we instead plan to do so via Steam Direct which is Valve’s replacement platform. What exactly these changes mean we cannot fully say today, Steam Direct will be launched on the 13th of June and for new developers, which we are, it can according to the previous blog post take up to 30 days to be approved. We will not speculate in this anymore until Steam Direct has been released and we can assess what it is all about. However, this means that there as of now will not be any Steam Greenlight trailer video and instead we will focus on the third and last gameplay video which is long overdue. As we have a lot more time on our collective hands now, this hopefully shouldn’t take that long to execute. We’ve had all necessary parts and logic in place for weeks so it is definitely time to finish that chapter. In regards to the actual release it’s all a bit “up in the air right now” and we’ll know more in a week. What you should know is that the game is nearing completion for an early access release. We have, so to say, passed V1 and are about to rotate. Several new businesses added as a result of the ACEO Business Design Contest! In other news we are happy to announce that we officially applied to become a company here in Sweden this last Thursday! Now we’re just waiting for their (Bolagsverket’s) approval and then we’ll have the organizational infrastructure set for being able to release. We are still receiving submissions for the ongoing design contest! Several of these have already made it into the game and their creators are now happy ACEO winners. We have difficulty keeping up with the pace and will as soon as can reveal what businesses that have made it so far, however, we are still continuously implementing more. Those who win get an e-mail, we’ll get the keys and the bade out to you once it is ready.